Good catch by the tip line from yesterday’s Cardinal game. 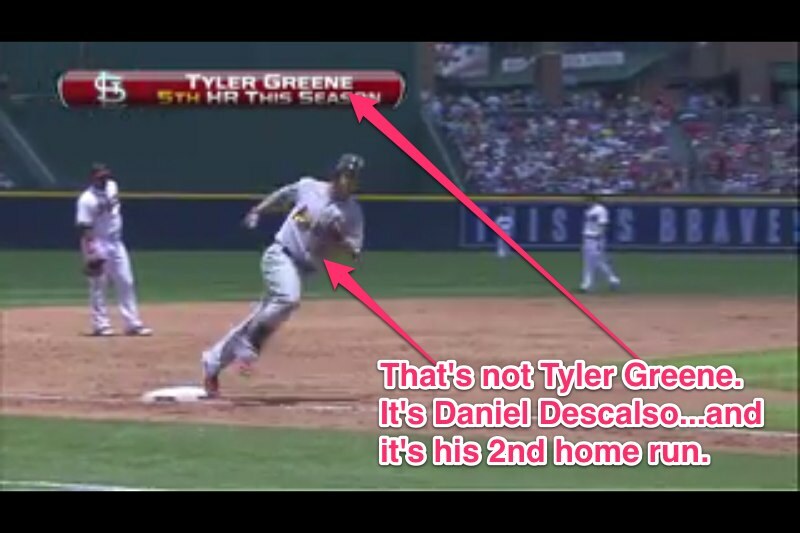 Poor Daniel Descalso, he’s only going to hit a few home runs each year, so the least Fox Sports Midwest could do is get the man’s name right as he rounds the bases. Of course it could be worse. They could have called him “Bench Player Guy”, like poor “Minor League Guy” from spring training.